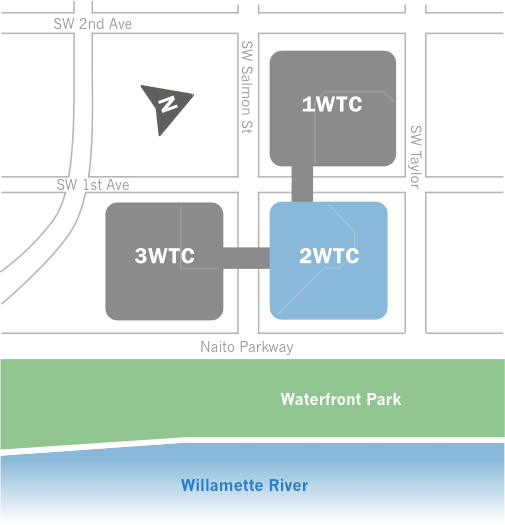 The Auditorium is located on the Bridge Level of Building Two of The World Trade Center Portland. From the Plaza Level of Building Two take the elevators, or stairs up to the Bridge Level. From Building One of The World Trade Center Portland go up the escalators, and walk East towards the Willamette River. 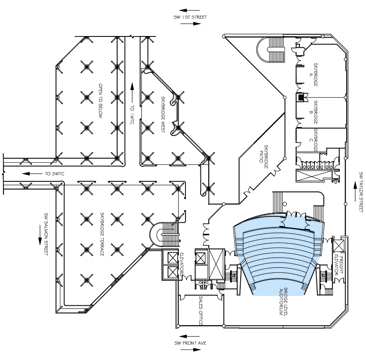 From Building Three of The World Trade Center Portland, go up the escalators and walk North, and then through the terrace space towards the Auditorium. 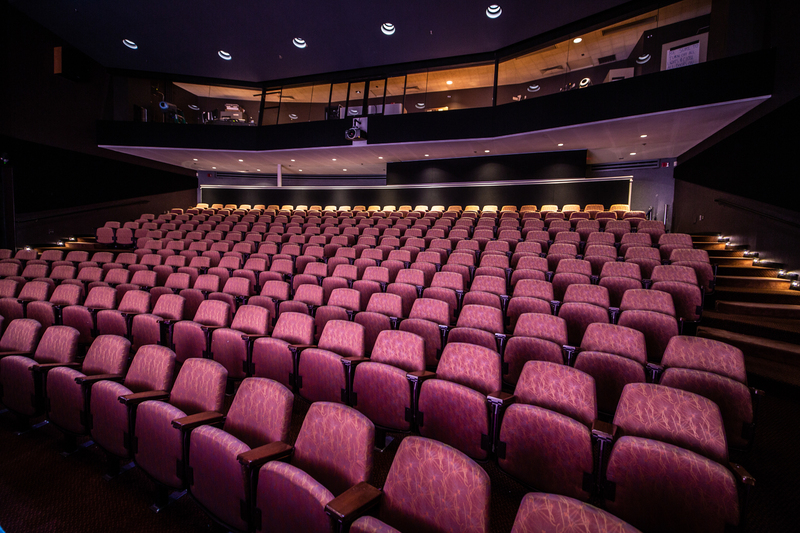 Located on the Sky Bridge Level our Auditorium provides seating for up to 220 people for any type of staged event. Whether you’re giving a presentation, hosting an awards ceremony, or putting on a theatre or dance performance the Auditorium gives you a chance to hold an exclusive event in a beautiful venue. 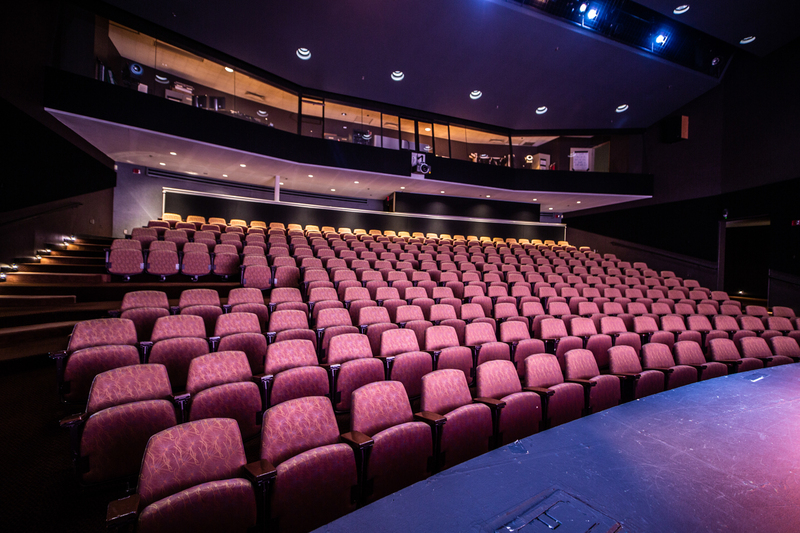 When rented in tandem with other event spaces, you can utilize the Auditorium for your large general session before breaking out to smaller spaces. With a built-in projector and drop down screen, as well as access to the full menu of AV products our Auditorium is the perfect venue to meet the needs of your group. Given our location in the heart of downtown Portland our Auditorium is a unique and rare find for this type of space!